Bonfire of the Vanities: Panic! What do I do if I don't like the pope? I like the pope; but I am hearing from Catholics who don't like some of the things he's said, and they are very uncomfortable about it. This post is for anyone wrestling with this. > The pope seems to be a little hard on more tradition-minded Catholics. In his recent exhortation, Evangelii Gaudium, Pope Francis coined a somewhat obscure phrase: "self-absorbed promethean neopelagianism." While it could fairly be applied to more "progressive" types, in the context, it seems aimed more at traditional folks. As Thomas McDonald observed here, it's puzzling that the pope would seem to be singling out folks who have been very faithful, very ready to listen to the pope. And more traditional folks are noticing, as are the more "progressive" types who don't conceal their disdain for them. Then there is the case of a Franciscan Friars of the Immaculate. This group of religious apparently have had some internal disputes, and someone from Rome got involved; but now Rome seems to be applying some rather severe discipline. A lot about this has appeared on a particularly odious site, that began calling the pope a heretic within hours of his election, I refuse to send any traffic there. Instead, I'll link to this priest's article, recommended by my friend Father John Zuhlsdorf. I am not really conversant with the whole thing; you can judge for yourself. > In his free-wheeling manner, especially in published remarks, the pope is needlessly causing confusion. Early on, Pope Francis gave an interview to a writer at La Repubblica; and as I reported here, the pope regretted the interview and the confusion that arose about what he believes and teaches. The other example I'd cite was his decision to dispense himself from the norms regarding Holy Thursday, and include women in the foot-washing ritual that can be included in the Mass for that evening. (This will surprise some people, but: the norms for this ritual are explicit, that only males be chosen for it. That this norm is widely ignored doesn't change the truth of what I just wrote.) While many applauded the pope's attempt to be generous and welcoming, the nagging question remains: did he just eliminate the norm? Or did he, as I termed it, merely exempt himself? If the latter, just what does he expect priests and bishops--who can't exempt themselves--to do? 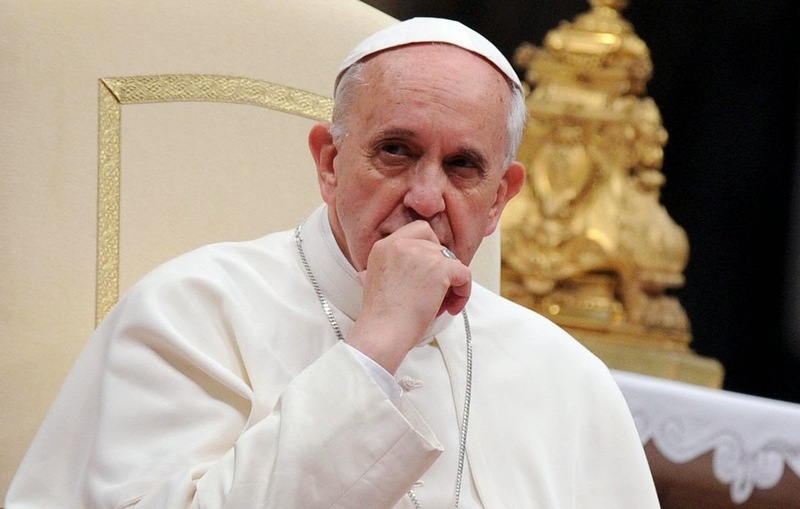 > Some of the pope's remarks and actions could be construed as failing to appreciate the situation of parish priests. See prior paragraph for an example of this. Another would be his comment--the day after his election, as he went out of his way to pay his bill at the hotel--that he did this to set an example for parish priests. I always pay my bills; what parish priests is he talking about? And again, in his recent letter, he make a couple of observations about how parish priests ought to handle homilies and sacraments that left me scratching my head, and I suspect other priests as well. > He seems pretty harsh toward capitalism. Of course, this was amplified when Rush Limbaugh, and someone at Fox News, began flogging this idea; but there's no denying that several comments in his recent exhortation are critical of "unfettered markets" and various ills that arise from them, or are not solved by them. I had a phone call from at least one lay Catholic who was pretty deeply hurt by what the pope said. This from someone who works hard, earns a good living, and tries to do good with what s/he earns. And, of course, free enterprise makes it possible for there to be lots of such people--not just giving to charity out of their surplus, but also providing jobs and growth to the benefit of society. I suspect there are others who feel similarly. Well, first, let's be clear about what we do--and do not--owe the holy father. He is the successor to Saint Peter, the vicar of Christ on earth. We owe him our love and devotion, our friendship and loyalty, our prayers and our attentiveness as he carries out this precious and difficult task. When the pope speaks, I hope we all listen. If we find his words challenging, we owe his remarks our best efforts to take his words to heart. And yet, that doesn't mean every word of every statement, oral or written, is to be taken as something that cannot be challenged, as irreformable dogma. This is confusing, particularly since there are so many varieties of communications from the pope: encyclicals, "apostolic constitutions," "apostolic letters," exhortations, and that exotic creature, a "motu proprio." What do they all mean? Without going through this in detail--which would require some careful research on my part--these divide into two categories: documents that teach and those that deal with governance. (Of course, it's possible to do both at the same time.) So Pope Benedict issued a motu proprio freeing the celebration of the older form of the Mass--that was about governance (as are "constitutions"); but Pope Francis' recent document is an "exhortation"--it's about teaching. Further, there seems to be an understanding--if not a formal policy--that the more "high level" the pope intends something to be, he'll term it an "encyclical" or an "apostolic letter." For example: Pope John Paul II issued an encyclical in 1995, called Evangelium Vitae, that explicitly sets out several areas of infallible teaching. (I don't always cite Wikipedia, but I think it can be safely cited here.) And then, when Pope John Paul II declared the ordination of males only to holy orders a closed subject, he did so in an apostolic letter called Ordinatio Sacerdotalis. So what's an "exhortation"? Something still from the pope--and thus deserving our respect and attention--but something less formal in its intention to teach. To put it colloquially, I think Pope Francis would consider that what he wrote in the exhortation merely restated--with his own personal touches--what the Church already teaches. And, by and large, that's what most encyclicals do. Popes only formally (and infallibly) define doctrine when they must. Now, there is a little trick some play: they'll say, oh if it's not infallible, I don't have to believe it. It's not that simple; and that's not what I'm saying. Instead, I'd prefer to say this: when the pope issues any sort of statement, presenting what we believe, he intends us all to understand it not as something that takes the place of what went before, but as a page added to what went before. See the difference? When Pope Francis talks about the economy, and markets, and caring for the poor, he doesn't wipe away what all his predecessors said; he intends his words to be an added commentary. Very frankly, I prefer what Pope John Paul II wrote on this subject; but I think the differences are more a matter of emphasis than fundamental content. I had the benefit, in the seminary, of reading a hundred years of papal documents on the social teaching of the Church, and that gives perspective. In any case, Pope Francis knows that he's building on what John Paul II did. And in any case, we owe both of them our heedful attention. But what if someone says, I don't like what Pope Francis said here--or did there? Is that person a bad Catholic? No; no more than if you say the same about your parent, that makes you a bad son or daughter. It's more in how you say it, and how you approach your mother or father overall. 1. For an apostolic exhortation - a teaching document - if he wants people to be taught by it - why would he write something with 48,000 + words? I am a 'not normal' Catholic - I have read all of the encyclicals from Pope Benedict, several of JPII, etc. So - I'm plugging through it - but my goodness! 2. If it is for teaching - for people to read, think about, and change their behavior to be closer to Christ and to bring Christ to others - why the 'sloppy' language. You guys are 'words' guys - because you bring the WORD to us. Words are important! It's clearly not clear - because otherwise - there wouldn't be everybody and their brother - trying to tell us what the 'Pope REALLY meant'. I mean - "self-absorbed promethean neopelagianism. "- REALLY?? This isn't like JPII - 'The Splendor of Truth' about different philosophies and heresies - with a very difficult set of topics and an encyclical to boot. I'm struggling with the lack of 'clarity' - because clarity is part of being a good teacher and a good parent!! unfortunately under Pope John Paul II we fell into a cult of personality. If you didn't think every single thing the pope said or did was absolutely awesome and perfectly perfect in every perfect way you were a bad Catholic. Not so. You can love and respect your father but you don't have to like him or everything he does and says. The Pope is not the Church. But he is my Pope and it is my Church. It is my job to make it and him succeed. It would be nice to like him, I actually do, but that is extra. Does anyone think the bile-spewing hatred pouring forth from Fr. Z does any good? And bear in mind that falsely accusing someone can be a violation of the Eighth Commandment.